I have a bone to pick with Mom. She says that this Simon’s Cat video was made with me in mind. I have no idea what she’s talking about. The nerve of her! I have never once unplugged her computer. 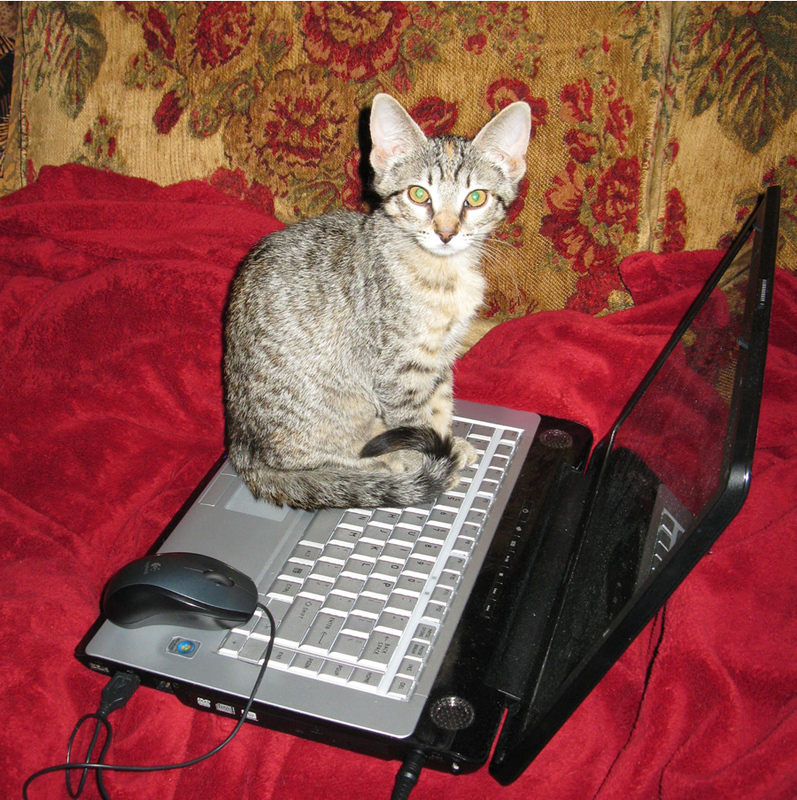 But if I would fit, I would probably sit on the keyboard, like I did when I was a wee kitten. Hmmpf! Well, I may resemble that remark a tiny bit. But a cat’s gotta do what a cat’s gotta do when a cat’s gotta do it. Filed by Cookie on Oct 8th, 2011 under Cookie's Posts, Mommy Can Be Melodramatic, Simon's Cat. 3 Purrs or Hisses.